When it comes to mixing and matching patterns, Lauren's space is a great of example of how to mix and match while still looking coordinated. She chose a color scheme of navy, white, and pink. Even though there are a lot of patterns present – from fretwork and anchors to stripes and lattice – it all adheres to the navy/pink/white theme and looks perfectly put together. Over her bed, Lauren spiced up the blank wall with an art gallery – which I'm sure she'll continue to grow and add to! A hot pink cut-out of her initials in lovely, calligraphy-style font serves as the focal point. She's added mementos of home, quote prints, a mirror, and some artwork. I especially love the gleam of that gold picture frame and the painting that pulls all of the colors together. Lobsters and anchors and boating knots, oh my! 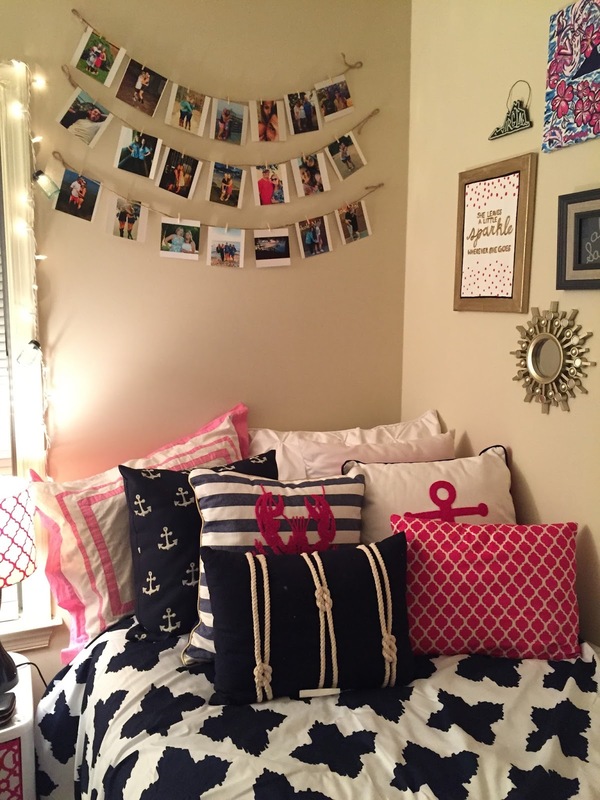 Lauren really stepped up the mixing and matching of patterns and nautical motifs with her throw pillows. Over her bed, she displays a rotating collection of favorite photographs clipped to string. Coordination is clearly Lauren's forte. 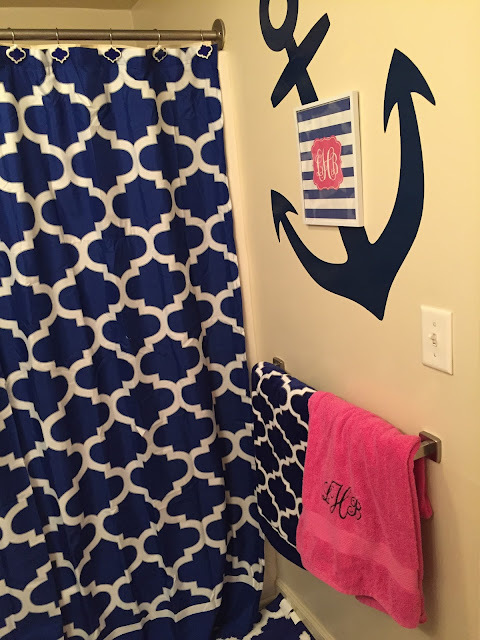 The navy/pink/white, anchors, and nautical details continue into her bathroom – giving the two rooms a cohesive look and feel. I love that she applied the anchor decal at an angle. 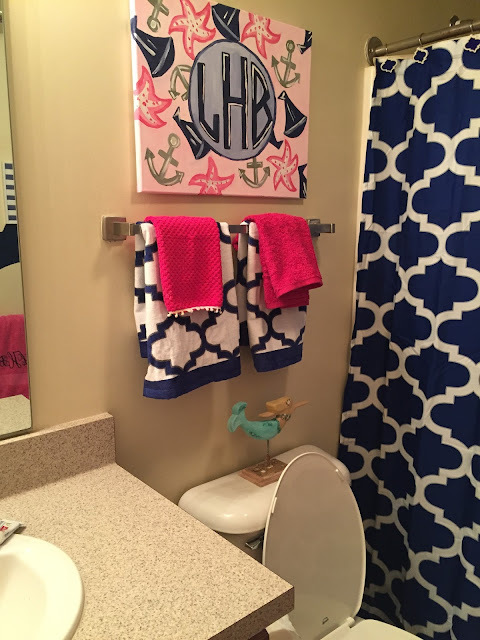 Starfish, sailboats, anchors, and a mermaid feel right at home in Lauren's powder room. 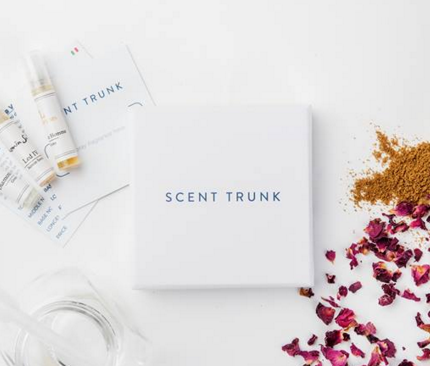 What's your favorite part of her space? 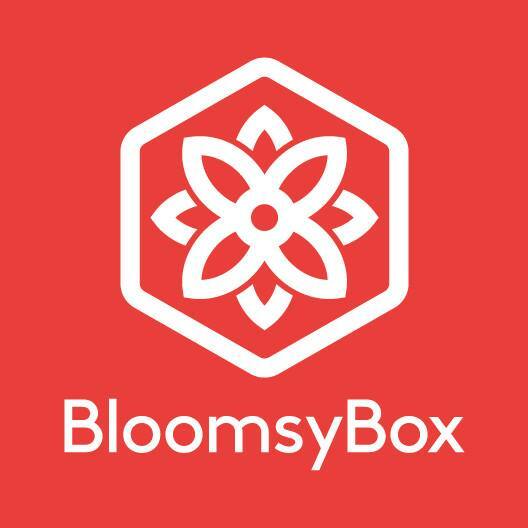 Want to share your own dorm or apartment? 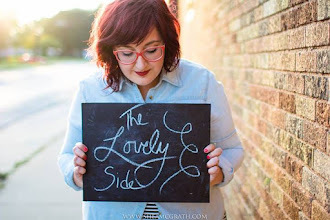 Email your photos and a bit of information about your design inspiration to jessica@thelovelyside.com. I love it. So fun! Matching patterns is the best. It adds excitement!